This 5K course begins and ends at the Pennsylvania Military Museum. It winds along the bike paths and neighborhoods around the Mount Nittany Elementary and Middle Schools as well as Saint Joseph’s Catholic Academy. Prizes given to Top Three Overall, Top Three Male, Top Three Female, and age group winners. 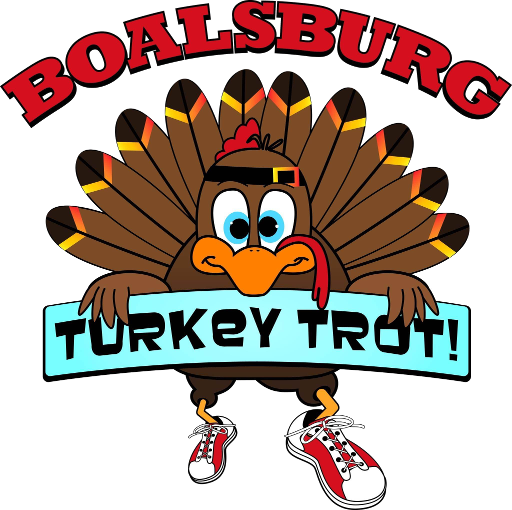 The 2018 annual 5K run/walk will take place on Thanksgiving Day, November 22, 2018. Last year 500 runners/walkers registered for this event with over 400 finishers! Through the Turkey Trot, we hope to raise $10,000. These funds will be used to cover expenses for both the girls and the boys teams for three seasons: Cross Country, Indoor Track/Field, and Outdoor Track/Field. Additionally, a portion of money raised will be donated to the Friends of the Pennsylvania Military Museum to support their efforts to protect and preserve the legacy of Pennsylvanians who served in the military of the United States.